Bacterial canker and blast damage appearing. Prunes are just past petal fall, but I've been shown several examples of bacterial canker and/or blast in the last week (see pictures below). These symptoms are caused by infections of Pseudomonas syringae pv. syringe, a common bacteria found throughout orchards. 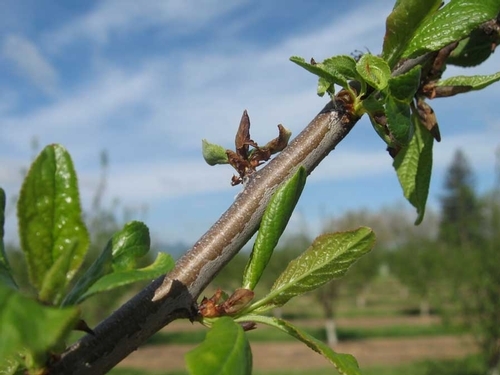 Particularly in years with cold wet winters/springs, the bacteria enter prune trees -- and other stone fruit and almonds -- damaging scaffolds (bacterial canker) and buds (bacterial blast). The bacterial blast generally is not a major economic issue for growers. However, canker can spread rapidly and kill trees from the top down. 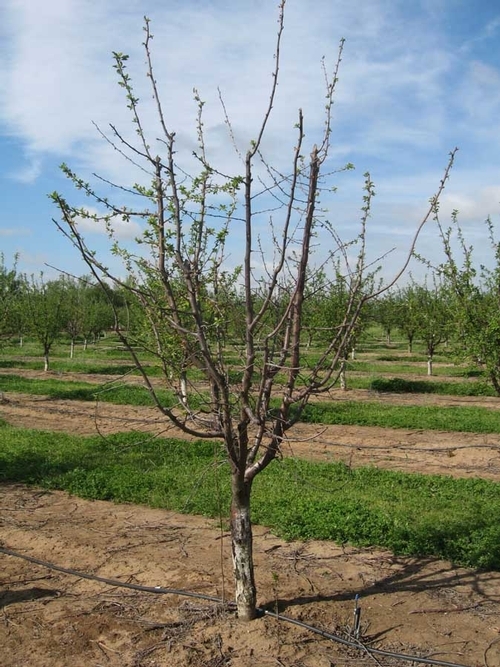 Strangely enough, the rootstock is not affected by the bacteria, and damaged trees often show vigorous sucker growth. Once the symptoms appear, there is little to be done. Don't remove damaged trees when symptoms first show. The trees may recover. Soil related stress such as acid soils, shallow soils over hardpan, or coarse texture (sandy) soils with nematode (specifically ring nematode) pressure. The bacteria don’t enter the plant through the soil – at least they don’t harm the rootstock, but soil stresses predispose the tree to above ground infection. Pruning during wet, cool weather. Rootstock selection. M2624 is most sensitive to bacterial canker, although M29C is susceptible as well. M40 is reported to be the rootstock that is least susceptible to bacterial canker. What can be done to avoid bacterial canker? Avoid soil stresses listed above, wherever possible. 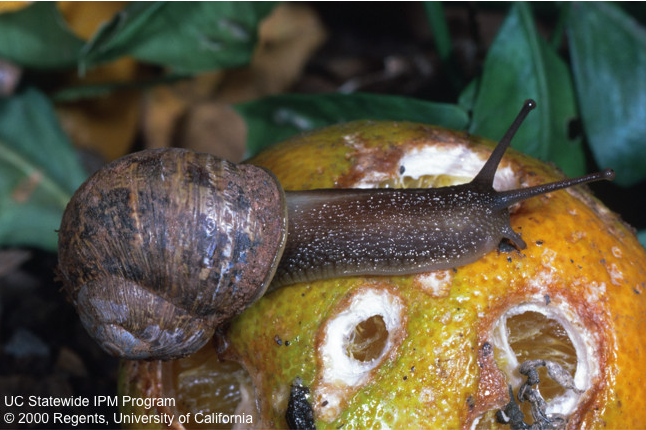 Also, Jack Dibble, retired UCCE entomology specialist, told me that, in his experience, trees with bacterial canker pressure showed dormant oil burn more readily than trees not under pressure from bacterial canker. 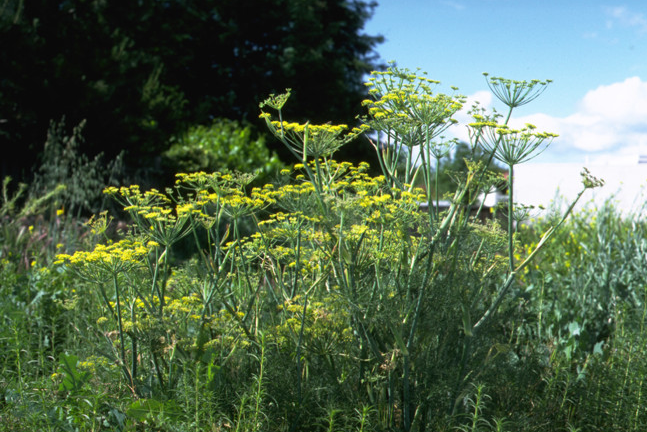 If your block is at risk from bacterial canker (sandy soils, low N levels, nematodes, etc. ), consider avoiding high dormant oil rates. Prune buds damaged by bacterial blast.